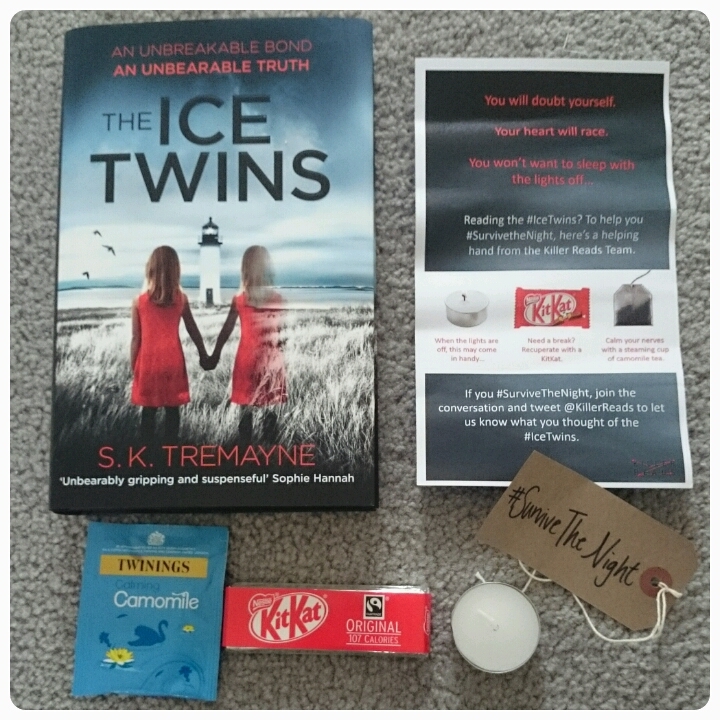 I was recently chosen by Mumsnet as one of ten bloggers to review the latest novel from author S K Tremzyne, The Ice Twins. One word immediately desribes this book, haunting. The story begins with Angus and Sarah in a lawyers office, signing papers about taking over Angus's late grandmothers estate, a substantial cottage on Torran Island. This place is seemingly in the middle of nowhere, you have to take a boat to get to it. Straight away you get the sense that this is about getting away, running away from bad memories, trying to get a fresh start. Home life for them isn't happy right now. "He lost his job becaus he got so drunk he punched his boss. And knocked him out." It is established early on just what trauma they are trying to escape, this bereft couple were parents to a set of identical twins, Kirstie and Lydia, however quite sadly Lydia died 14 months previously but even at the beginnning you get a sense that not all is as it seems when it comes to the circumstances surrounding her death. "Why do you keep calling me Kirstie, Mummy? Kirstie is dead. It was Kirstie that died. I'm Lydia." Being absolutely identical, no distinquishing marks/features to set them apart, could they have got it wrong, did the other twin die?? "Mummy Mummy come quickly, Lydie-lo has fallen." Now it is hard to write an indepth review about this book without giving things away, there is so much more to this story than meets the eye. Each character brings something else to the tale. Everyone appears guilt of something in someway. "Angus resisted the urge to terrify her with the truth." Subtle hints throughout the book have you changing your mind constantly as to what direction S K Tremayne is going to take us. You feel like a detective discovering hidden clues, trying to find hidden meaning in certain sentences. Each chapter unveils another layer. With so many twists and turns, the depth of this story knows no bounds and it keeps you guessing right until the end, evening the ending is unexpected. Lies will be uncovered, truths will be revealed. A haunting yet wonderfully written story that is both gripping and suspenseful, I guarantee you won't be able to put it down until you reach the end as you will want answers, what really happend on that fateful day? Great review; I loved this book and was perpetually shocked by it! That sounds brilliant, and really intriguing. Going to download that one this week! Oooh sounds just like something I would enjoy reading! Putting it on my holiday reads list!